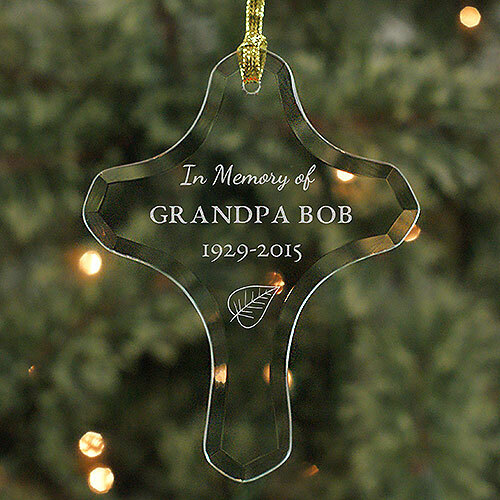 We love this beautiful cross ornament in memory of your loved one. This can be personalized with your loved one's name and birth / at rest years. 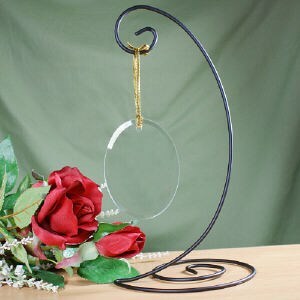 This is also a wonderful Memorial Gift Idea for year round display on our ornament stand (sold separately). When looking for Sympathy Gifts for Men, keep these memorial ornaments in mind.